Most of our posts are of our couples’ weddings because we love sharing their big day with you! But lately I’ve seen so many brides-to-be on different social media groups asking for advice involving their e-shoots. 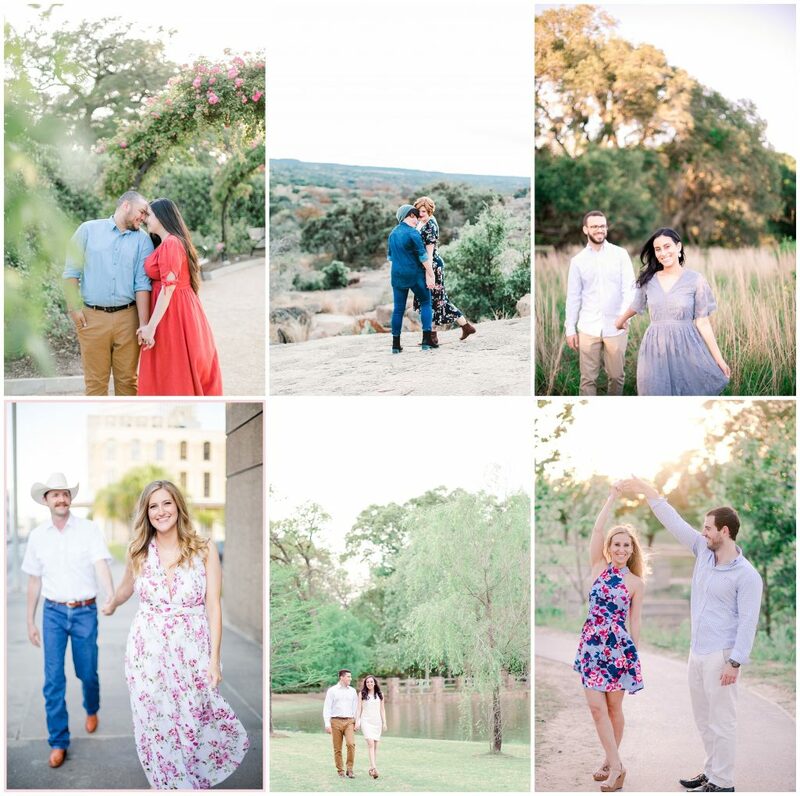 So, I thought I’d share some of our tips for how to prepare for your engagement session! Our brides receive our exclusive 80-page Bridal Guide Magazine that contains a lot of this information, in addition to how to create your wedding day timeline, how to deal with Paparazzi wedding guests, and why you should do a first look. It’s something that we are constantly updating, so AMP brides, even if you’ve looked through yours, this post is still worth the read! Part 1: What to Wear and How to Prepare (lol, I’m a poet and I didn’t even know it! One major tip is to coordinate- without being matchy-matchy. Don’t try to wear the exact same colors, instead, wear colors in shades and accent tones that compliment each other. Another tip is to consider the location you’ll be shooting in. A bright pink satin gown will look totally out of place in a rustic, woodsy location. Women look best in clothes that are fitted at the smallest part of their waist. Trapeze dresses are cute IRL, but they do not translate to photography very well. From the camera’s point of view, you are as a wide as the clothing you wear, so bring things that are cinched in at the waist. You can NEVER go wrong with a fit-and-flare dress. They are universally flattering. Wear SPANX. It doesn’t matter how thin and svelte you are. Shapeware removes lumps that can be distracting. Our eyes are naturally drawn to the brightest thing in an image. So, if you have a “least favorite” body part, avoid wearing light colors there, especially if you’re wearing darker colors everywhere else. Unless you are a tomboy through and through, and would feel ridiculous in dressier clothes, I always recommend dressing up. Its a special occasion. Dress up, have your make up done, go to dinner afterwards and celebrate this happy occasion. You’re getting married! Perhaps bring one casual outfit and one dressier outfit, or one dressy outfit and one WOW dress. You’re more than welcome to raid our studio’s closet. That’s what it’s there for! We have a large collection of tulle skirts, beaded and lace gowns and dresses, and they are available to you at no additional cost! We buy new ones every month! Here is a sample of our tulle. We also have beaded gowns, art deco/ Great Gatsby slim gowns, mermaid dresses, midi and maxi length skirts, and lace maxi dresses and rompers. Avoid tanning beds and fake tanning lotions. They do not make you look tan. They make you look orange, especially when you’re standing next to people with natural skin tones. Also avoid the sun in the days or even weeks leading up to your session. Tan lines are difficult to remove in post, and require extensive (and pricey) retouching. To avoid having to pay those fees, just avoid the sun for a bit and load up on sunscreen. If you have a sunburn I will reschedule your session. Plus, pale skin is beautiful! Have your make up professionally done. Make up artists know how to tailor their product for photos, and they can do wonders with fake eyelashes, which help to make your eyes pop. Clean your engagement ring. I love to get a few ring shots while you’re changing clothes. Guys look best in layers. The best possible outfit a man can wear is a nice pair of slacks, a button up that coordinates with her outfits’ colors, and a vest. Bonus points if you throw on a scarf for some of the shots. The layers are slimming, add dimension, interest, and make you look dapper and more put together. But it’s also important that you tailor your clothes. Baggy clothes will make you look bigger and less put together. Tailoring your shirts costs just a few bucks and is well worth it. It goes without saying, but iron your clothes and remove all pet hair. When bringing additional outfits, hang them, don’t lay them in the backseat. Empty your pockets so there’s no bulges. I can’t tell you how many of my colleagues have been asked to Photoshop a phone out of a guy’s pocket on hundreds of images. I’ll carry your keys but everything else stays in the car. Guys also look best when your clothes have some texture. Tweed, knit, and suede are all good choices. Remove your sunglasses at least 10 minutes before arriving to our session. We want the marks to fade. 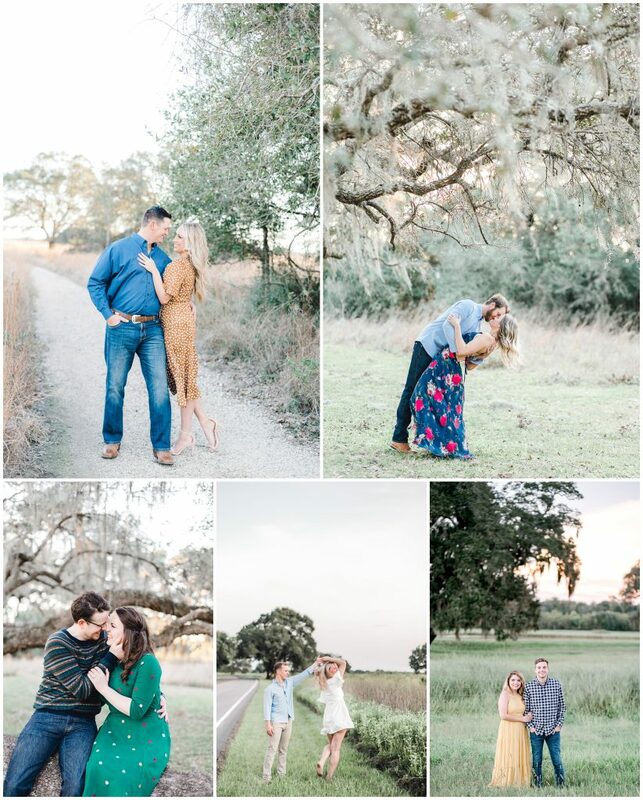 So there’s just a few of the tips our couples receive when they book us for their wedding! I hope it’s helpful!! We’ll be posting Part Two: Locations in two weeks!